In Laudato Si (2015), a recent encyclical of Roman Catholic leader Pope Francis, many major modern world concerns are addressed that negatively impact the care for humanity’s common home. 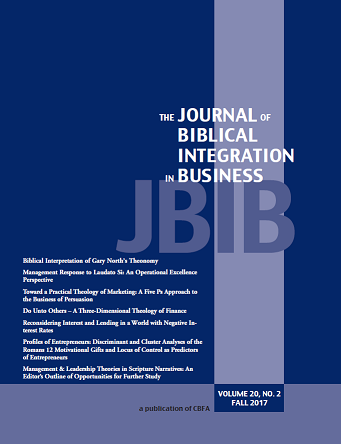 This paper summarizes Pope Francis’ major concerns with implications for businesses and organizational managers. This paper then advocates taking an operational excellence approach to respond to these concerns. In doing so, we make recommendations for managers in the four major themes of waste reduction, focus on people, focus on culture, and interrelatedness. We also suggest some areas for future research.